Syncee is a top-rated Shopify application with an in-app supplier catalog. Apart from this, we have unique product upload and update features, so we can also automatically manage any supplier’s products, and your own stock as well. Choose any of the suppliers from our catalog and sell the chosen products in your Shopify store after installing Syncee. Find your niche and upload thousands of products easily into your Shopify store. Update their data automatically on a daily basis. Save time by filtering your products with Syncee, and by automating and scheduling the management. Forget about manual processes. Schedule a live demo with one of our colleagues, see how Syncee works and ask your questions. You can add .CSV, .JSON, .XML, .XLS(X) and .TXT files to Syncee. Use the easy-to-use drag and drop box to upload the files. It does not matter how your supplier stores the products’ data, you can import the data feed file using a URL, secured URL, File upload, SFTP, FTP with SSL, FTP, Dropbox, Google Docs, Google Drive and One Drive. If you have API or SOAP connection, contact our support staff. If there are products in your source file you do not wish to publish to your store, simply leave them out by using Syncee’s filtering options. Choose products you need or don’t need based on criteria like SKU, Vendor etc. Connect your product categories to your Shopify manual collections. 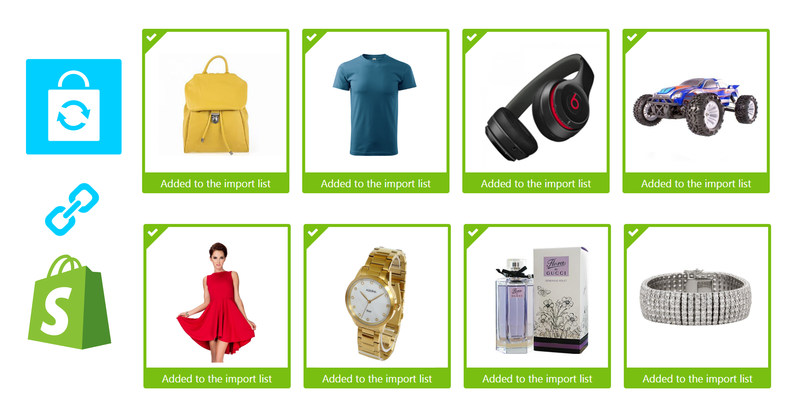 You can easily add more product categories to one Shopify manual collection. Add fixed price margin to every product in your feed to increase your sales. You can add fixed and percentage-based margin to your products at the same time. You can add price margin not only to your products on average, but to your collections as well. Create price ranges and add separate fixed and percentage margin to each of them. Review your settings on a transparent platform. Evaluate the results of your settings and schedule the running of your task. 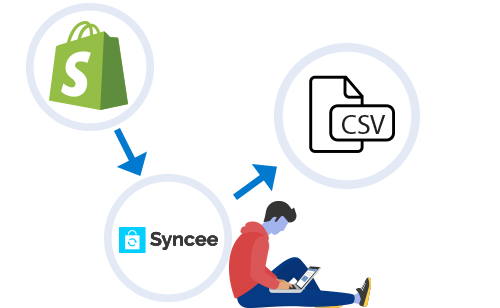 Syncee enables you to export product data from you Shopify store into a CSV file, making it easier to connect with drop shippers and retailers. Be listed in Syncee’s in-app supplier catalog, the Syncee Supplier Exchange, broaden your business. Don’t miss out a great opportunity to get the freshest information to boost your business.